*1 The default dynamic range output setting is set to "Limited". In the NVIDIA control panel, please change the setting to "Full". 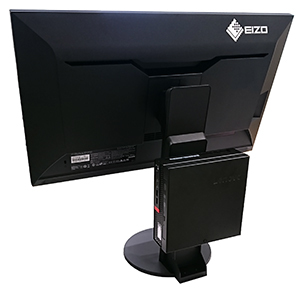 Monitor does not fall over when tilted to 10 degrees (while the PC*2 is attached with PCSK-03*3). *2 The "Lenovo ThinkCenter Tiny VESA Mount II" is required. *3 Both Version A and Version B can be attached. 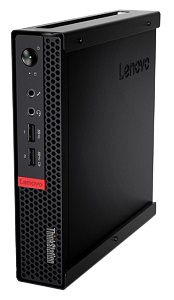 There is no problem when Lenovo's "ThinkCenter Tiny IV DVD Burner Kit" is installed.